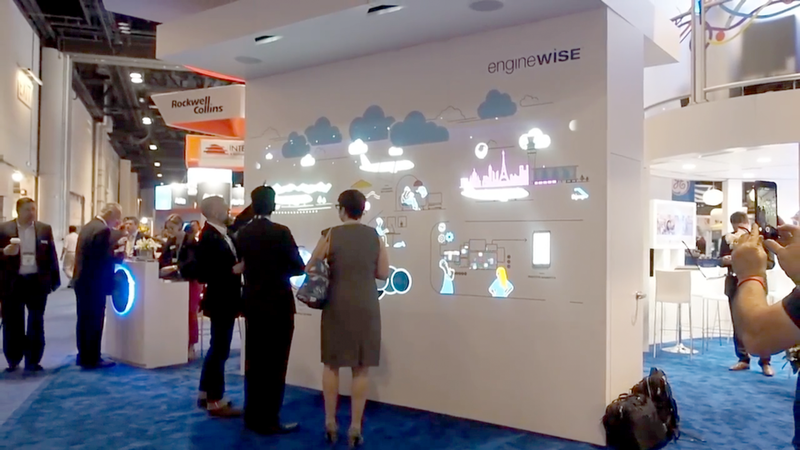 A interactive story wall showing Pratt & Whitney’s real-time jet engine maintenance and diagnostic software. 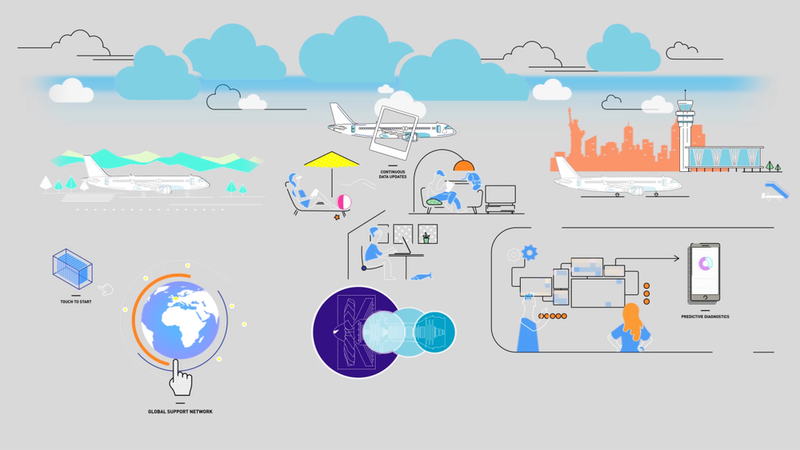 Engineers can get live data from the engine beamed to their laptop or phone as the aircraft is in flight. The illustration was vinyl printed onto wood, then the content was projection mapped to match it. 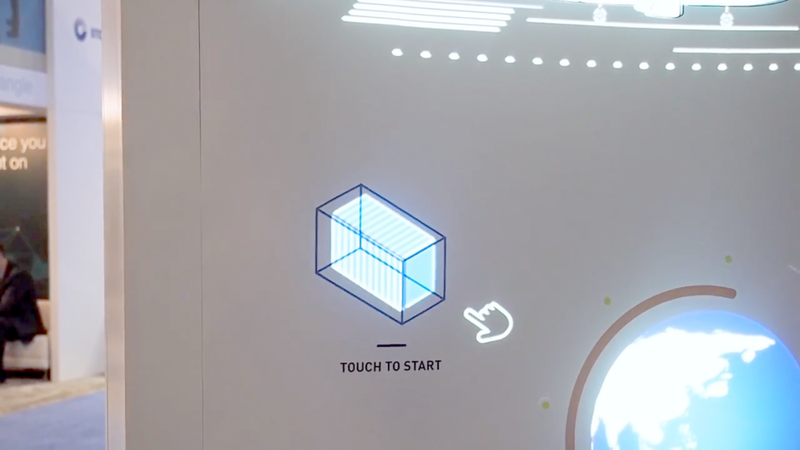 The content was triggered by super thin touch-sensitive vinyl pads hidden in the illustration.